Riyadh and Abu Dhabi are closely monitoring the situation, calling for "stability" and a "peaceful transition". The two countries are ready to support the transitional military council and want the military to stay in control. For now, Qatar is silent. A climate of instability pervades the region. 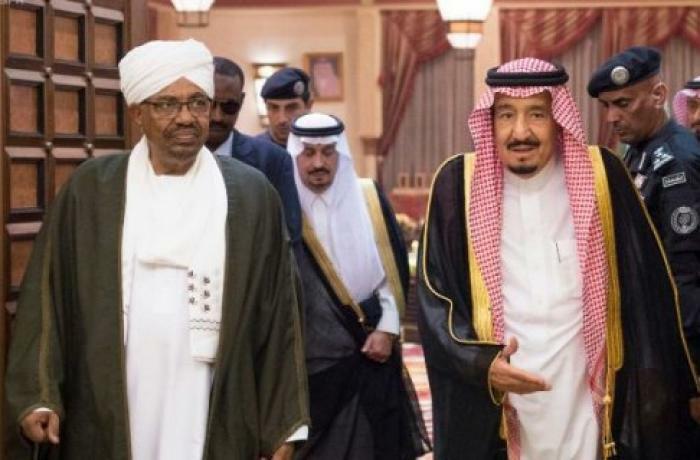 Riyadh (AsiaNews/Agencies) – Gulf states, in particular Saudi Arabia and the United Arab Emirates (UAE), are worried about the political and institutional crisis in Sudan, where protests triggered by the high cost of living, have led to the downfall of the thirty-year dictatorial regime of President Omar al-Bashir. According to many analysts and experts, the two Sunni monarchies are closely monitoring the situation in order to protect their interests in the region. For Riyadh and its allies, Khartoum plays a key role, both in the fight (men and materiel) against the Shia forces in Yemen and in their containment policy vis-à-vis Iran, Saudi Arabia’s main enemy in the Middle East. Yesterday, after weeks of silence, Saudi Arabia and the UAE issued a first lukewarm statement on Bashir’s overthrow, calling for "stability" and a "peaceful transition". "Saudi Arabia and the United Arab Emirates are by nature averse to all popular movements or revolutions," said Karim Bitar, director of research at the French Institute for International and Strategic Affairs. "These are powers that largely privilege the status quo. They fear that any effervescence, any national protest movement, will lead to an oil slick -- that there will be contagion." The recent protests in Sudan, triggered by the rise in the cost of bread and basic foodstuffs, turned into a popular movement that ended Bashir’s thirty-year regime, following a coup. The Sudanese military set up a transitional council to govern the country and, among its first measures, it ordered the arrest of all the members of the previous government. The generals have promised not to repress protests, which are continue despite the arrest of the former strongman. People plan to continue to be in the streets until a new civilian government is sworn in. A spokesman for the military council called on the opposition to choose a new Prime Minister and announced the suspension of media censorship and the release of police and military officers arrested for defending the protesters. Riyadh and Abu Dhabi say they back the transitional council, and the Saudis have already pledged economic aid to the people of Sudan "in order to alleviate suffering". General Abdel Fattah al-Burhan’s rise as the head of the transitional council is not unwelcome in some Gulf states. The latter see him as someone who can guarantee stability and has close ties with the UAE, especially in the Yemen War in opposition to Iran. The goal is to prevent other tragedies like those in Libya, Syria and Iraq. "In Sudan and Algeria, change is inevitable. The military institutions will supervise the change and hand over power to the civilians,” said Mustafa Alani of the Geneva-based Gulf Research Center. The only Gulf state that has remained silent so far is Qatar, which has been in the middle of a serious political and diplomatic rift with Saudi Arabia for almost two years. Bashir’s departure shifts the balance of power even for Qatar, which will have to decide if it wants to support the new government, especially in light of the new government’s decision vis-à-vis the Yemen crisis. One element on which most experts seem to agree is that Bashir’s downfall represents a crucial moment for the Gulf region. With uncertain prevailing in the region, a "managed transition" seems to be the best solution for everyone.